Know Modesto Class of 1971 graduates that are NOT on this List? Help us Update the 1971 Class List by adding missing names. there are so many memmories at modesto high,its hard to just pick out a few I was never a fighter but there was this girl named marvilla dillion marvilla I hope I spelled that wright,anyway I had been going with a boy named wesly grogan,since first grade,and we all whent to the same same grade school and junior high I remember it started in junior high marvella was always trying to pick a fight with me because of wesley,but like I said I never was a fighter,but then modesto high came along and what happent I dont evan no,onething led to another and there was a restrant across the street where everone hung out,needles to say I cought her and wesley in the back seat of the car I dident no what to do I was hurt but I found out that day,that I was more then A FIGHTER THEN i THOUGHT i TORE OFF EVERYTHING SHE HAD ON BUT BELIVE ME IM NOT HAPPY FOR WHAT I DID IT WAS WRONG,i HAD SO MANY FRIENDS DANNY CORNING WHOS DAD OWNED THE BAT STORE ON CROWSLANDING AND PAT AND PAULA AND DANNY SHARON,THEY WERE SISTERS AND BROTHERS AND MY BEST FRIENDS,i CAN REMEMBER NAMES ANYWAY IS CINDI RUSHON,LILLA BURNET O THERE WAS SO MANY MORE BUT WE ALL HUNG OUT TOGEATHER,DID SOME PRETTY DUM THINGS GUYS IF ANY OF YOU ARE OUT THERE EMAIL ME,i WOULD LOVE TO SEE YOU AGINE,MY PARENTS AS YOU WELL NO IM AN ONLY CHILD BUT WHEN MY PARENTS ARE GONE IT JUST LEAVES ME,SO i HOPE SOMEONE NOES SOMEONE THAT NOES ME,HOPE TO HERE FROM YOU ALL AND THERE ARE SO MANY MORE,PAT CINDY SISTER YOU USED TO BE ARE DESIGNATIVE DRIVER,i NO SOMEBODY HAS TO REMEMBER THAT,WELL i WILL JUST BE WAITING i NO SOMEONE NOES SOMEONE THAT NOES ME SHERRY GROGAN >>>>HARRIS. Class 1971 Reunion Our 40th!!! 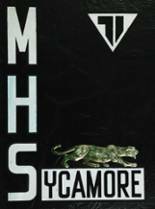 More 1971 alumni from Modesto HS have posted profiles on Classmates.com®. Click here to register for free at Classmates.com® and view other 1971 alumni. The students that went to school at the Modesto high school called Modesto High School and graduated in '71 are on this page. Register to add your name to the class of 1971 graduates list.